Countless millions died in the Spanish Inquisition and other historical religious persecutions in the name of the Holy Roman Church. The current Pope is following in the footsteps of his predecessors in supporting failed ideological policies that will kill many of the most vulnerable in our society. Cheap energy is vital for the elderly and poor and ridiculous climate policies are causing prices to skyrocket without any discernible effect on temperatures. The Energy & Environment Legal Institute has released a video in a plea to the Pope to reconsider. Climate "scientists" are able to perform mental and logical gymnastics to keep their scam alive and some gold medal performances are being seen following the release of the shonky hiatus-killing paper by NASA/NOAA. 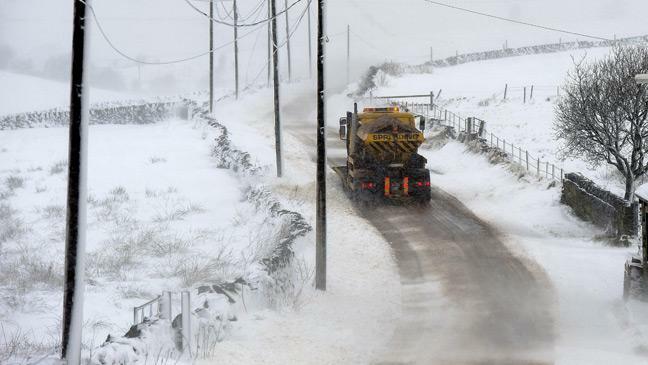 A medal should definitely go to Mark Maslin, a climatology professor at University College London, who said “a whole cottage industry has been built by climate sceptics on the false premise that there is currently a hiatus in global warming”. “This is despite climate data showing continued warming of the Earth surface,” he said. "In summary, the observed recent warming hiatus, defined as the reduction in GMST trend during 1998–2012 as compared to the trend during 1951–2012, is attributable in roughly equal measure to a cooling contribution from internal variability and a reduced trend in external forcing (expert judgment, medium confidence). The forcing trend reduction is primarily due to a negative forcing trend from both volcanic eruptions and the downward phase of the solar cycle. However, there is low confidence in quantifying the role of forcing trend in causing the hiatus, because of uncertainty in the magnitude of the volcanic forcing trend and low confidence in the aerosol forcing trend." No mention of a false premise there , just good old "Settled Science". Freeman Dyson ,one of the giants of 20th century science is interviewed - a great contrast to the mental pygmies calling themselves "climate scientists" who infest the airwaves today. This rare interview is worth watching. Freeman John Dyson FRS (born 15 December 1923) is an English-born American  theoretical physicist and mathematician, known for his work in quantum electrodynamics, solid-state physics, astronomy and nuclear engineering. Dyson is a member of the Board of Sponsors of the Bulletin of the Atomic Scientists. 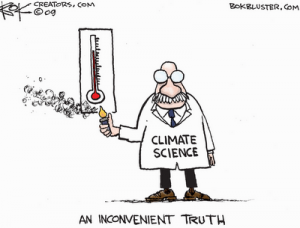 NOAA has published a paper by climate "scientists" purporting in one fell swoop to erase the 20 year global warming "pause" shown by all four major global temperature datasets. Professor Judith Curry is underwhelmed by the publication as are many other reputable scientists in the field. It does not matter whether this paper is BS as it will be splashed across the media and used extensively by Obanana in the run-up to the Paris gab-fest. After December - who cares? Abstract: Much study has been devoted to the possible causes of an apparent decrease in the upward trend of global surface temperatures since 1998, a phenomenon that has been dubbed the global warming “hiatus.” Here we present an updated global surface temperature analysis that reveals that global trends are higher than reported by the IPCC, especially in recent decades, and that the central estimate for the rate of warming during the first 15 years of the 21st century is at least as great as the last half of the 20th century. These results do not support the notion of a “slowdown” in the increase of global surface temperature. The greatest changes in the new NOAA surface temperature analysis is to the ocean temperatures since 1998. This seems rather ironic, since this is the period where there is the greatest coverage of data with the highest quality of measurements – satellites don’t show a warming trend. 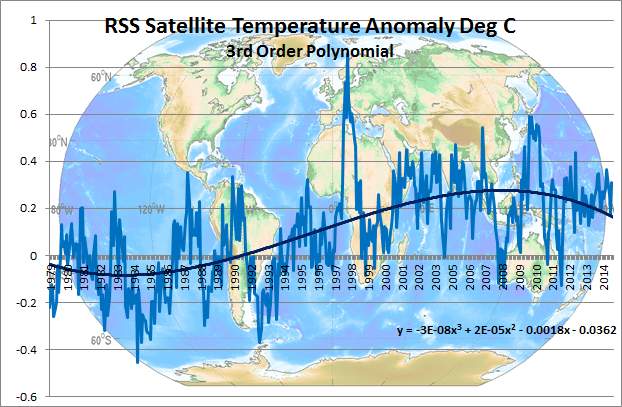 Nevertheless, the NOAA team finds a substantial increase in the ocean surface temperature anomaly trend since 1998. Like blowflies around bad meat the warmist media is already swarming. Inuit communities which relied on seal exports for survival are being hard-hit by a ban on seal imports to Europe. So while indigenous Inuits can still hunt seals their market has been destroyed by Greenpeace advocacy from their comfortable city-based lifestyle. Inuits are seeking an overturning of the 2009 ban on European sales. The week of May 20, a delegation of native Greenlanders descended on the European Parliament in Strasbourg, France, advocating for the repeal of a 2009 ban on the import of commercially harvested seal products to Europe. Since the ban—inspired by the efforts of animal-rights advocacy organizations like Greenpeace—seal pelt exports have dropped 90%. And despite a written exemption for indigenous Inuit hunters, markets across the Arctic, both large-scale commercial and sustainable-use, have crashed, with disastrous effect for Greenland and northern Canada’s coastal Inuit communities. Aside from decimating the traditional Inuit economy, Europe’s ban has had a terrible effect on regional marine ecology. 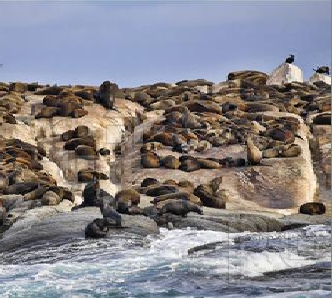 “The seal population has grown astronomical,” Peter says. “The numbers, conservatively, are between seven and ten million for harp seals.” As evidence, she notes she was recently invited to a meeting with Danish fishermen currently locked in a fierce competition with the bloated seal population. “The seals are consuming 10 million tons of fish a year,” she says. In an effort to understand climate "scientist" logic I decided to apply it to a real life situation - namely my height. 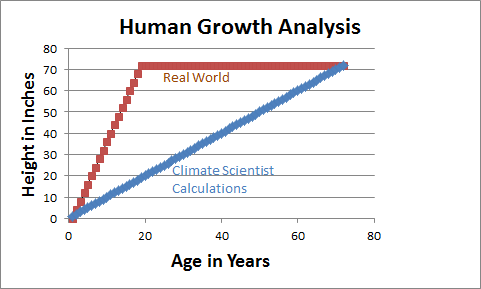 Assuming for the sake of argument that growth was linear to 18 years and stopped thereafter the brown graph approximates what really happened. A climate "scientist" would say that I have reached the height of 72 inches over 72 years and the alarming trend is that I am growing at 1 inch per year and if I live to be 100 I will be 8 ft 4 inches tall. Drastic measures will obviously have to be taken to stop the increase in my height! As I do not believe my height is increasing I will obviously be labelled a "denier" from here on. Note. Interestingly I discovered while writing this that height generally decreases by about .4 inches per decade after 40 and can decrease faster after 70! 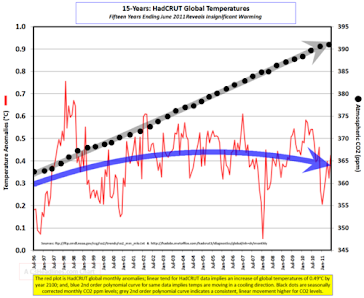 Untampered satellite temperature measurements show that Global warming has been only .2 degree over 35 years and the trend is now down. 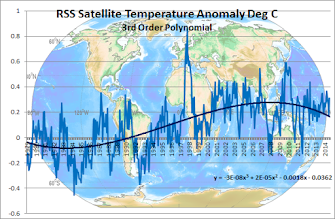 With alarmists trying to whip up a frenzy prior to December's global conference in Paris I suspect some sort of effort will be made to discredit the satellite data in favor of the highly modified terrestial datasets. Climategate blew Copenhagen out of the water and without a similar scandal a huge effort from sceptics will be needed stop the alarmist momentum in Paris. 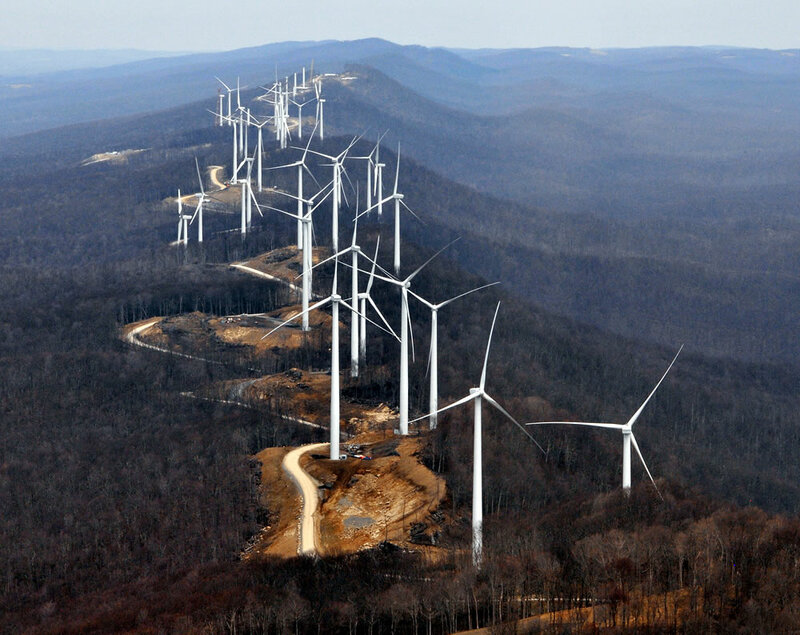 A whirling forest of blades now confronts birds in this previously pristine mountain wilderness - birds which are being sacrificed for a twisted green ideology. One that did not make it. The concentrated heat at the centre of this Californian solar array is like a death ray to unwary birds.
. Workers at the Ivanpah solar power plant call these birds “streamers,” as they ignite in midair and plummet to the ground trailing smoke. 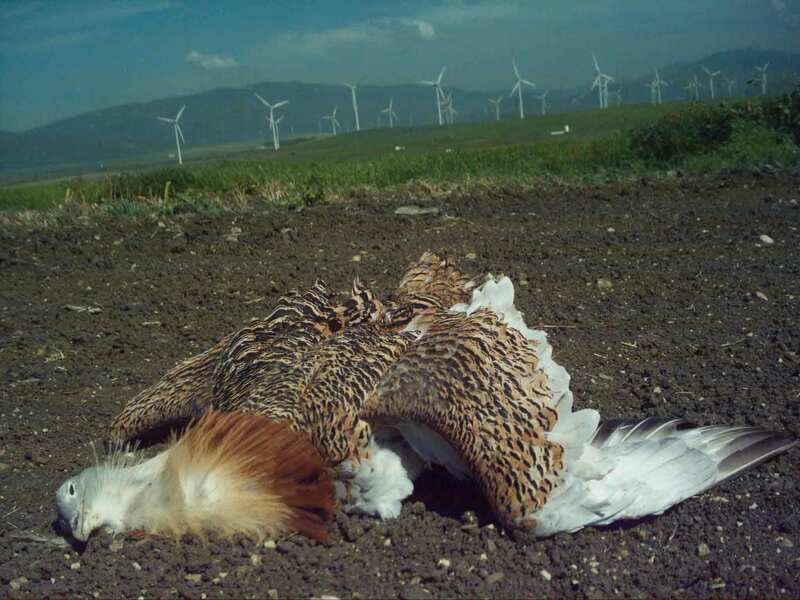 Federal wildlife investigators said there was, on average, one streamer every two minutes — or hundreds of thousands of incinerated birds per year. Another expert estimated that the number is nearer 28,000 per year. Birds are having feathers burnt off in flight.